The Quincy collaboration brings a punchy hit to Wrangler with high end, ring-spun, stretch denim and key icons…roses, bucking horses, bulls and fringe! Rodeo Quincy’s signature denim looks enhance her already successful accessory line. 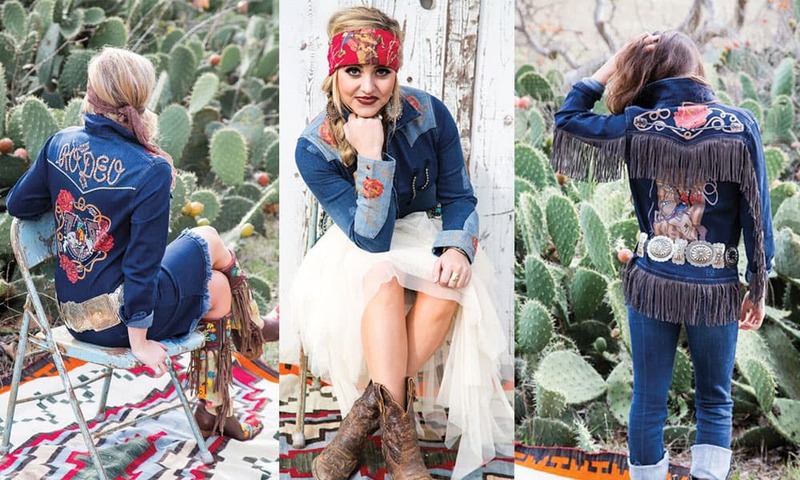 The collection consists of 4 key denim pieces: Fringe jacket, fringe skirt, shirt and dress, along with two printed blouses. Rodeo Quincy’s key icons play a role in every piece. The roses, the bucking horses, and the bulls are just a few of the unique notes. The new line launched at WNFR 2016 and is available at wrangler.com.